The Liquiproof LABS Footwear & Fashion Eco-Cleaner is a 100% natural cleaning solution for all types of fabric and textiles. The 100% natural cleaning solution contains a strong concentration of cleaning enzymes that work deep into the fibres of the fabric in order to attack deep set dirt. Plus, the dual action approach from the enzymes means they also condition each fibre, leaving the fabric stain free and restoring the natural look and feel of it. 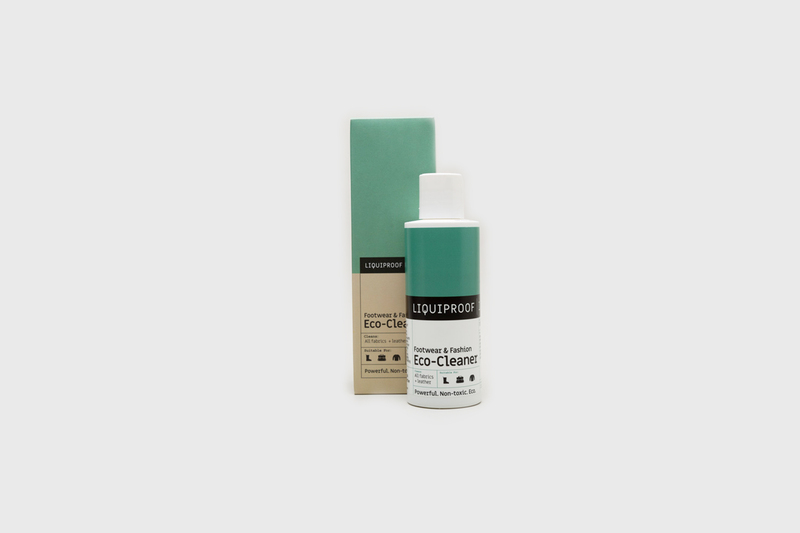 This cleaner by Liquiproof is biodegrabale, eco-friendly and non-toxic. It is safe to use on the most precious fabrics like nubuck, mesh, suede, leather and everything in between. It's the 100% natural go-to sneaker cleaner, bag cleaner and clothing cleaner.